I began my studies in Germany and Mexico and came to Essex in 2000 to finish my BA. 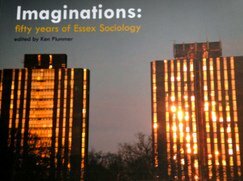 I enjoyed my studies at Essex, made many friends, and in the end decided to stay for my MA and PhD as well. My PhD research looked at transformations of intimate life among young middle-class people in Mexico City. It was inspired by a class on gender issues in Latin America I had taken with Diane Elson when I was an undergraduate. This goes to show, I think, that inspirational teaching can have a major and lasting intellectual impact. It’s this kind of experiences at Essex that really made a difference for me. After leaving the university in 2008, I held a number of appointments in the UK, the USA, and the Caribbean before recently settling down in a permanent position as Research Fellow at the National University of Córdoba in Argentina. My current research, on the whole, examines transformations of personal life under conditions of neoliberal globalisation and rapid social change. 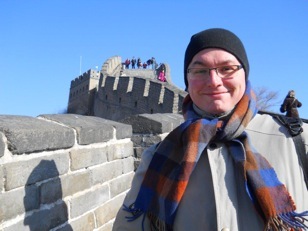 In addition to my persistent interest in Latin America, I have recently also started research in China. At the moment, I involved in two research projects. One is a comparative study on therapeutic culture and neoliberal discourse in five societies. A respective monograph is due to be published by Palgrave next year. In addition, I have begun a project on transnational dating and marriage among young professionals in urban China, together with colleagues at Beijing Normal University and Middlesex University. Apart from these two projects, I have almost completed work on an edited volume on transformations of intimate life in contemporary Mexico (Ashgate, 2013) and an introductory textbook for undergraduates in sociology (Pearson, 2013). At the moment, I spend my time mainly in the Americas and in China. I am still in touch with former colleagues at Essex, though, and I remain interested in developments in British academia. One of my ways of staying involved is a blog at SAGE’s Social Science Space (below). Here, I write regularly about issues of interest to postgraduate students and early-career sociologists.